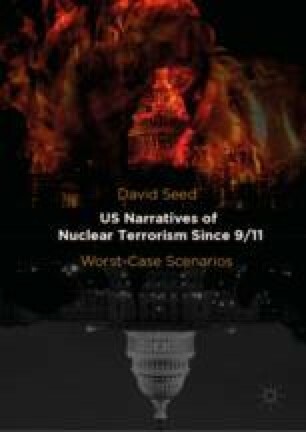 Fears of nuclear terrorism date from the 1970s in a number of disparate conspiracies where the authors clearly have difficulty in imagining potential terrorist groups, which include domestic dissidents. The latter feature notoriously in The Turner Diaries, where white supremacists seize nuclear devices and detonate them in urban areas containing ethnic minorities. The 1980s see the rise of docudramas in print and as movies like Special Bulletin, whose very existence suggests the ratcheting up of nuclear fears. The lingering traces of the Cold War are noted here and the chapter concludes with a discussion of Tom Clancy’s The Sum of All Fears.